Francesca Lombardo has cultivated a sound of her own, one that represents her multi-disciplinary musical background and transcends the dance floor via an emotional narrative of dreamy soundscapes, stirring melodies and hypnotic rhythms. Italian-born and classically trained, Francesca carved her path in electronic music. Criss-crossing the globe as a DJ and live performer, she’s played monumental shows including IMS Dalt Villa, Burning Man, Tomorrowland, Get Lost and Circoloco. In tandem Fracnesca has built up a formidable back-catalogue of music on esteemed labels: Crosstown Rebels, Mobilee, Leftroom, One Records and her own Echoe and Echolette imprints amongst others. 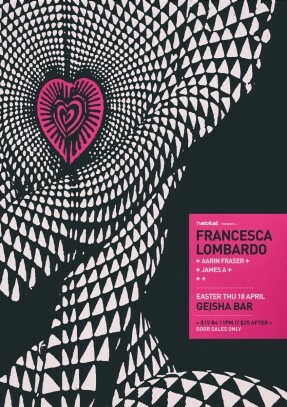 Always pushing boundaries in the name of creativity, Francesca’s live show sees orchestral ensembles of varying sizes perform her intricate productions, whilst her finesse as a DJ and undeniable vocal prowess further distinguishes her from the crowd. Now entering a new phase of her career, Francesca prepares to unveil her debut album, a collection of songs representing the essence of what she’s all about, an LP that is forward-thinking, powerful and made from the heart. Live musicians feature, merging the world of electronic music with Francesca’s classical upbringing, set to uplift and engage people from all walks of life. The outcome is a combination of grand compositions, paired with subtle, nuanced numbers. There’s no doubt that Francesca’s passion and drive for innovation in music serves as the fuel to keep her inspired and relevant, destined to soundtrack our lives for years to come.